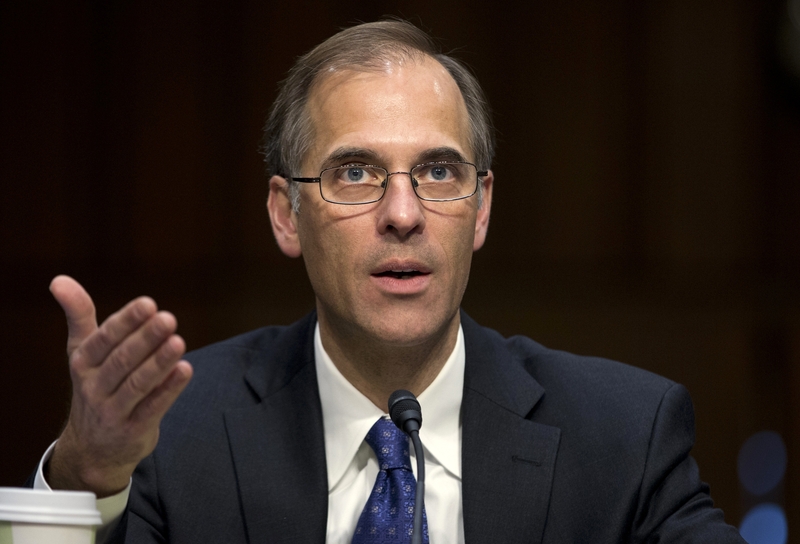 Congress should go over the so-called "fiscal cliff" at the start of next year if it means they can reach a better deal for reversing the impacts of the "cliff" and achieving long-term financial stability, Moody's Analytics chief economist Mark Zandi told Congress today. "I would not come up with a deal unless it's a really good deal before the end of the year," Zandi told members of the Joint Economic Committee in a hearing today. "I would take it into next year if that means a better deal." The "fiscal cliff" refers to a series of tax increases and spending cuts slated to kick in at the start of the new year unless Congress acts. Among other things, it includes the expiration of the Bush-era tax cuts, the expiration of the payroll tax holiday Mr. Obama enacted, and around $1.2 trillion in cuts across the board to both defense and non-defense programs. If Washington never addressed the "cliff," it would significantly reduce the deficit but also send the nation into another recession, Zandi and other economists agree. Zandi said he thinks Congress could extend negotiations into as far as February. "You've got to nail this down," Zandi stressed today. "Uncertainty is killing us. It's hurting business investment... It hasn't affected hiring and layoff decisions yet, but it will. If we get into next year and we get into February, and we haven't nailed this down, the economy will begin -- and investors will bail and the economy will begin to struggle." Congress not only needs to avert the "cliff," the economist said, but also address the nation's long-term fiscal sustainability by modifying entitlement programs like Social Security and Medicare, and it must extend the debt limit. "I don't think you can break this apart," Zandi said. "Nailing down the tax code, nailing down spending cuts, nailing down the debt ceiling, nailing down long-term fiscal sustainability... that is a good deal, and that is the only deal that I think works." Zandi added he is "skeptical" that it can get done before the end of the year, but he added, "I think it can be done by early next year before it can do significant damage." Both President Obama and House Speaker John Boehner have put forward economic packages that are considered starting points in negotiations. Zandi said the president's plan -- which calls for $1.6 trillion in new tax revenue and $600 billion in spending cuts -- is substantive but doesn't go far enough. For instance, Mr. Obama's plan doesn't include changes to Social Security, which Zandi said "should be part of the process." Zandi said his idea of a "balanced approach" would include $1.4 trillion in new tax revenue, half from tax reform and half from higher rates. It would also include $1.2 trillion in spending cuts, including modifications to Social Security, Medicare and Medicaid. That would leave $400 billion in net interest savings, he said, amounting to about $3 trillion in deficit reduction over the next 10 years. Pelosi: If no deal, "we go over the cliff"
Zandi has advised both Democrats and Republicans -- he advised Sen. John McCain during his 2008 presidential bid and also served as one of the architects of the Democrats' 2009 economic stimulus package. If the "cliff" were left unchanged, it would slow down economic growth by 3.5 percentage points, Zandi said. It should be scaled back so it slows growth by 1.5 percentage points at most, he said. "That, in my opinion, is the fiscal speed limit." Furthermore, he said Congress should extend the debt limit -- the legal limit the U.S. is allowed to borrow -- at least past the next election season, if not eliminate it altogether. He called the debt ceiling an "anachronistic law that ... can do a lot of damage to the economy." Congress should put in place alternative mechanisms to promote fiscal responsibility -- such as pay-as-you-go rules, but with respect to the debt ceiling, he said, "I'd say it's a mistake to put your revolver to your head on a regular basis." Kevin Hassett, director of economic policy at the conservative think tank the American Enterprise Institute, said he saw some benefit keeping the debt ceiling and put greater emphasis on the need to rein in the federal debt. "This year, much of Europe has been in turmoil because of the Greek debt crisis, but in many ways, the sickest European nations are actually in better shape than us," he said.